Crystal Hershey's Kiss Candy Dish Only $6.99! Down From $20! You are here: Home / Great Deals / Crystal Hershey’s Kiss Candy Dish Only $6.99! Down From $20! 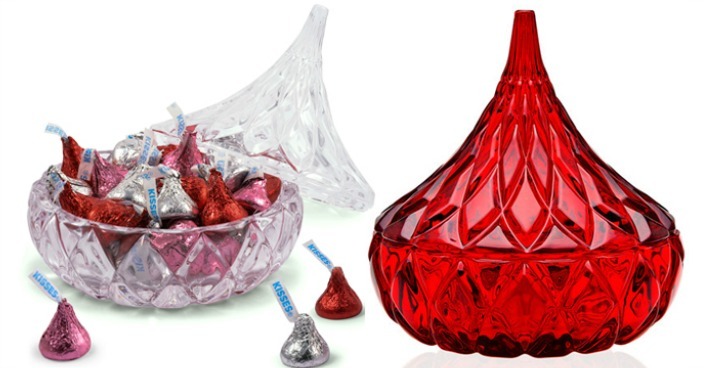 Crystal Hershey’s Kiss Candy Dish Only $6.99! Down From $20! Macy’s has this Crystal Hershey’s Kiss Candy Dish on sale for $9.99 (Reg. $20) but you can get it for $6.99 when you use promo code JMR4L7 at checkout! This irresistible candy dish from Godinger is reminiscent of a favorite sweet treat but, in cut crystal, will outlast anything on the dessert menu.